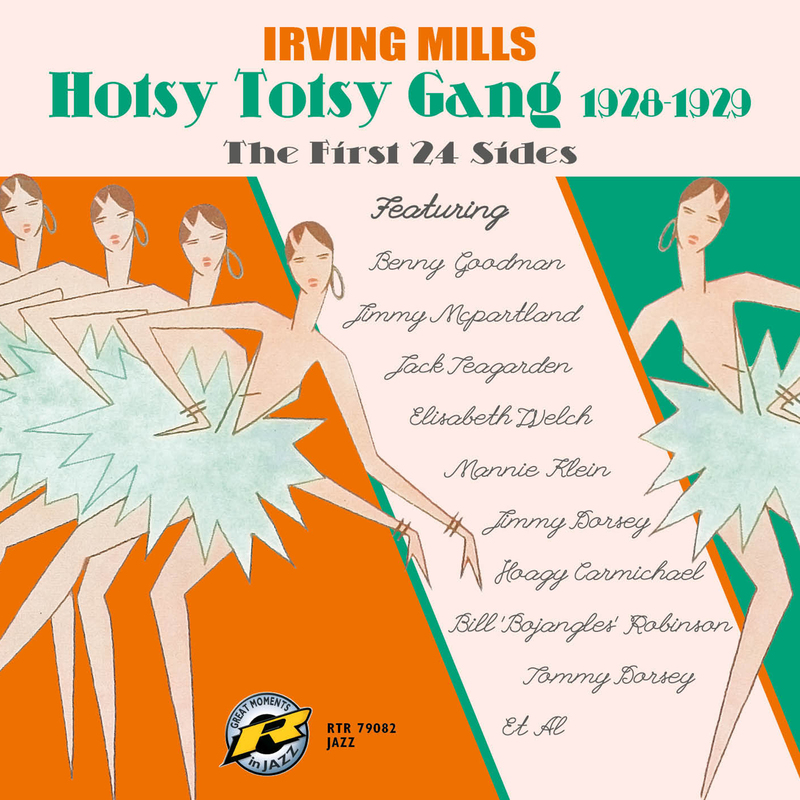 Irving Mills and his Hotsy Totsy Gang - The First 24 Sides, is again a great release by Retrieval Records, a division of Challenge Records. Retrieval is one of the finest examples of a record label offering some historical rereleases. For this release the label collected music by Irving Mills and his Hotsy Totsy Gang as recorded in 1928 and 1929. Irving Mills (1894-1985) was a jazz music publisher, also known by the name of Joe Primrose. He owned Mills Music with his brother Jack between 1919-1965. When they sold Mills Music, they had become the largest independent music publisher in the world. Beside music publisher, Irving was also a singer, lyricist, songwriter, A&R man and manager of several bands that included Cab Calloway, Benny Carter, Fletcher Henderson, Mills Blue Rhythm Band and the Duke Ellington Orchestra, which he managed from 1926 to 1939. Although not a musician himself (he did sing, however), Irving decided to put together his own studio recording group. His Irving Mills and his Hotsy Totsy Gang had as sidemen a.o. Tommy Dorsey, Jimmy Dorsey, Joe Venuti, Eddie Lang, Arnold Brillhardt, Arthur Schutt, and Manny Klein. Other variations of his bands featured Glenn Miller, Benny Goodman, and Red Nichols. One of his innovations was the “band within a band”. He started this in 1928 by arranging for members of Ben Pollack’s band to record hot small group sides for the various dime store labels, out of the main orchestra and printing “small orchestrations” transcribed off the record, so that non-professional musicians could see how great solos were constructed. The Hotsy-Totsy Gang recordings, done between 1928 and 1930, assembled some of the greatest white Jazz musicians of the era and often produced spectacular results. Sometimes Mills sang on the records, other times he just arranged the record dates and selected the musicians. Many recordings to be heard on this album by the Hotsy Totsy Gang were "so hot that the music had to be written on sheets of asbestos”! "Music from the time of the 78-rpm record, with a captivating charm that takes us back to the times when the 'new' music from the far America another entertainment culture in the life called." "A very nice full edition, that lets you hope that Retrieval will also publisch the remaining recordings of Mills Hotsy Totsy Gang."